Legal Orientalism: China, the United States, and Modern Law（《法律东方主义：中国·美国·现代法律》）. By Teemu Ruskola. Harvard University Press 2013. ISBN: 0674073061, 9780674073067. Since the Cold War ended, China has become a global symbol of disregard for human rights, while the United States has positioned itself as the world’s chief exporter of the rule of law. How did lawlessness become an axiom about Chineseness rather than a fact needing to be verified empirically, and how did the United States assume the mantle of law’s universal appeal? 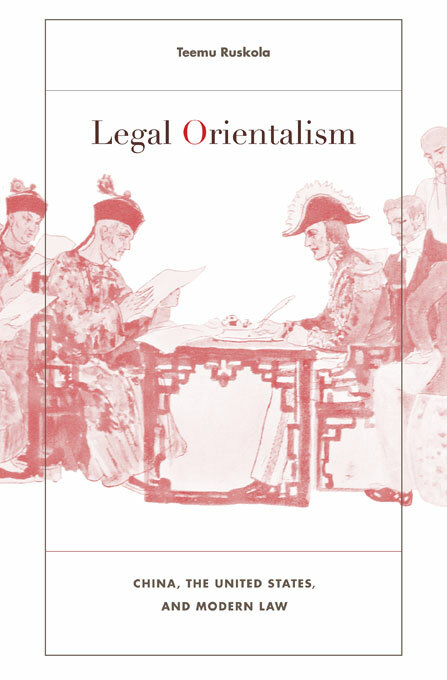 In a series of wide-ranging inquiries, Teemu Ruskola investigates the history of “legal Orientalism”: a set of globally circulating narratives about what law is and who has it. For example, why is China said not to have a history of corporate law, as a way of explaining its “failure” to develop capitalism on its own? Ruskola shows how a European tradition of philosophical prejudices about Chinese law developed into a distinctively American ideology of empire, influential to this day. The first Sino-U.S. treaty in 1844 authorized the extraterritorial application of American law in a putatively lawless China. A kind of legal imperialism, this practice long predated U.S. territorial colonialism after the Spanish-American War in 1898, and found its fullest expression in an American district court’s jurisdiction over the “District of China.” With urgent contemporary implications, legal Orientalism lives on in the enduring damage wrought on the U.S. Constitution by late nineteenth-century anti-Chinese immigration laws, and in the self-Orientalizing reforms of Chinese law today. In the global politics of trade and human rights, legal Orientalism continues to shape modern subjectivities, institutions, and geopolitics in powerful and unacknowledged ways. Teemu Ruskola is Professor of Law at Emory University.